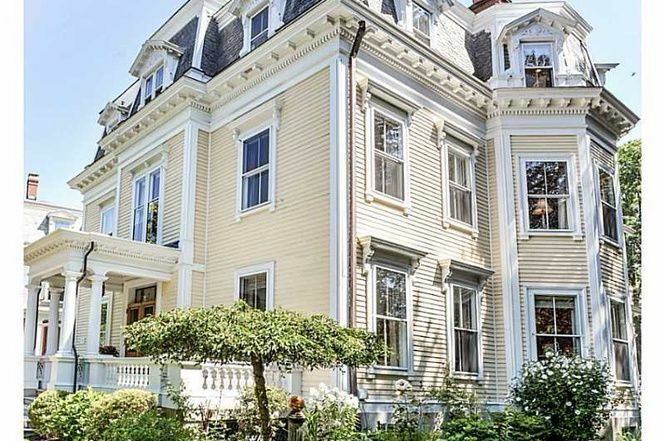 Known as the William F. Sayles House, this elegant home in Providence, Rhode Island, was built in 1878. Three stories tall, the home offers 7,400 square feet (687.5 square meters) of beautifully detailed living space as well as a spacious eight-car garage. 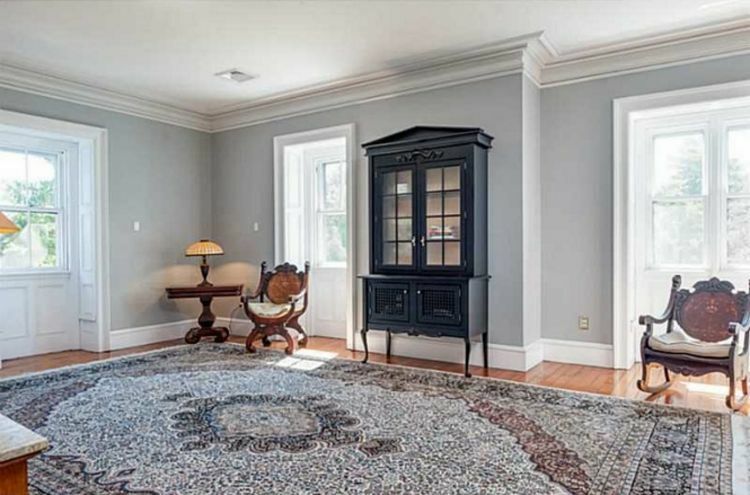 Located on a corner lot, the home also features a semioctagonal pavilion perfect for entertaining. 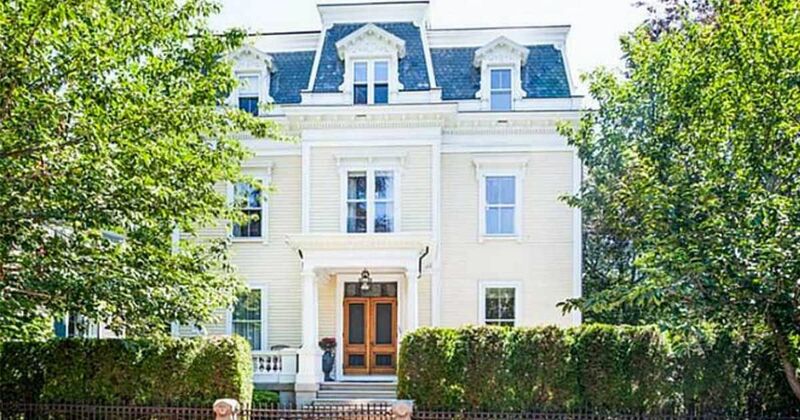 In typical Second Empire Victorian style, the house is topped off by an eye-catching mansard roof. 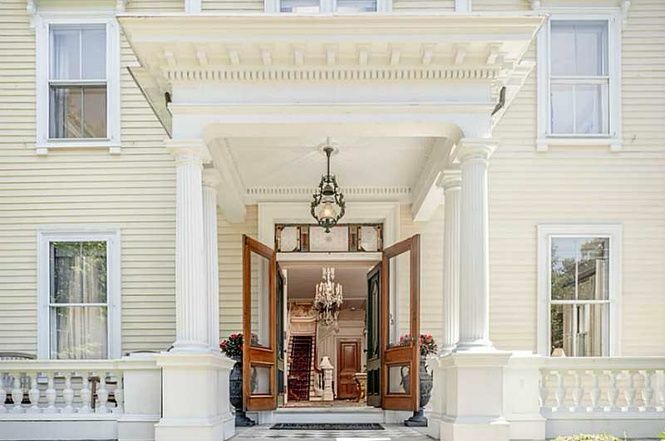 To enter the home, you step up onto a marble parquet terrace and pass through this stately columned portico that was recently refurbished to exact historical standards. 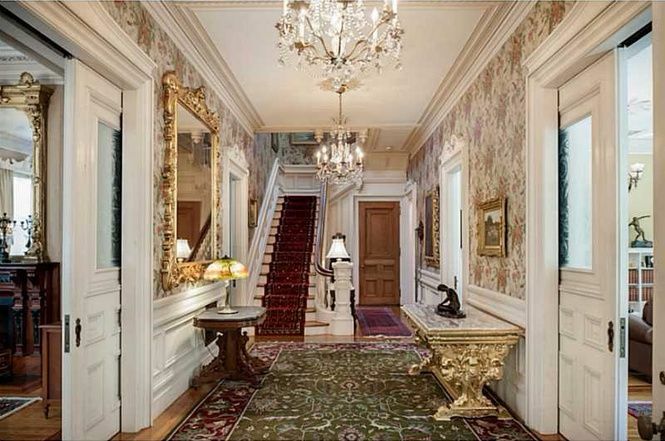 Once inside, you're greeted by a majestic foyer that gives a taste of the level of detail found throughout the rest of the home. 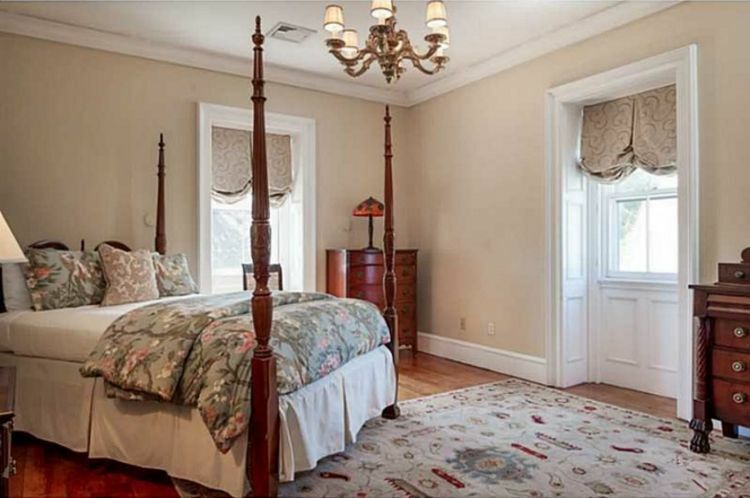 The room features an elegant chandelier and wonderful period details, including the picture frame wainscoting. The kitchen has been updated to reflect modern needs, but it's still oozing with Victorian charm. 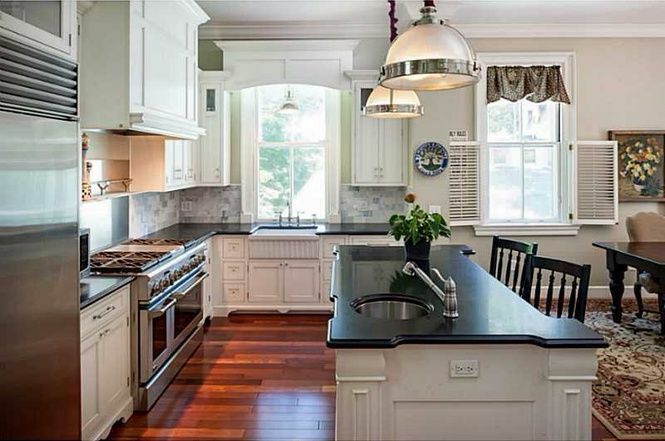 With plenty of cabinet and counter space, it's a chef's dream come true! 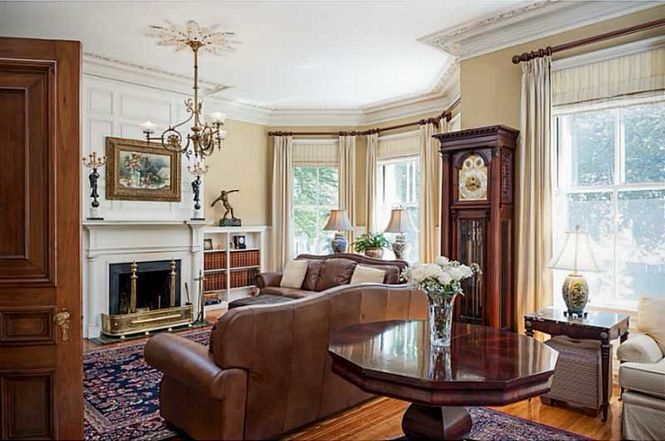 Here we have the large double living room, which boasts picture frame wainscoting, beautiful pine floors and a large bay window. 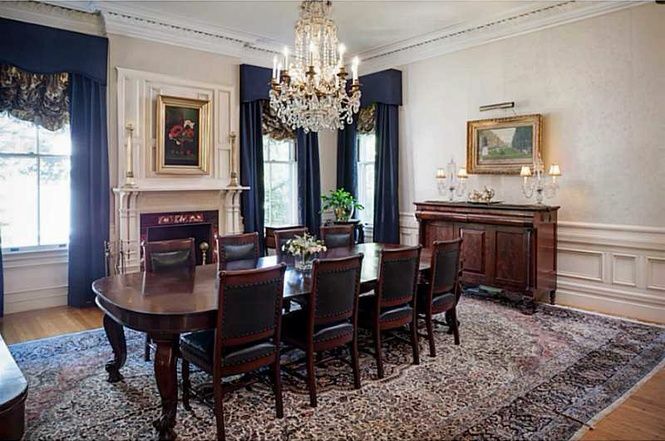 This room is also home to yet another fireplace; the house has nine in total! 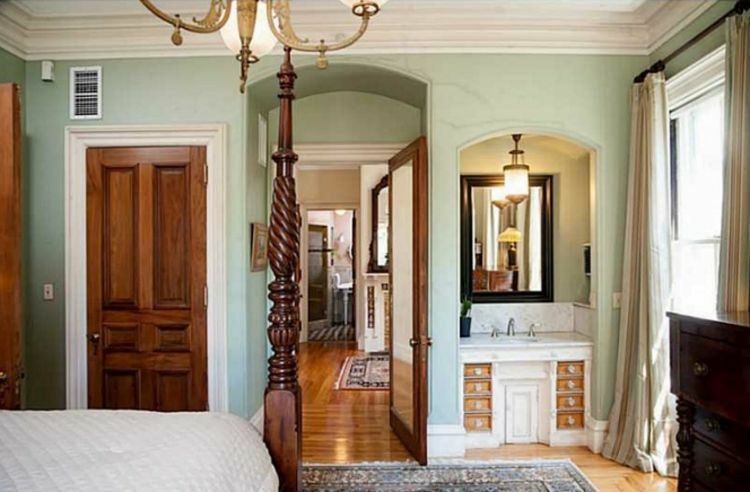 One of the real highlights of the home is found in the third-floor stairwell. 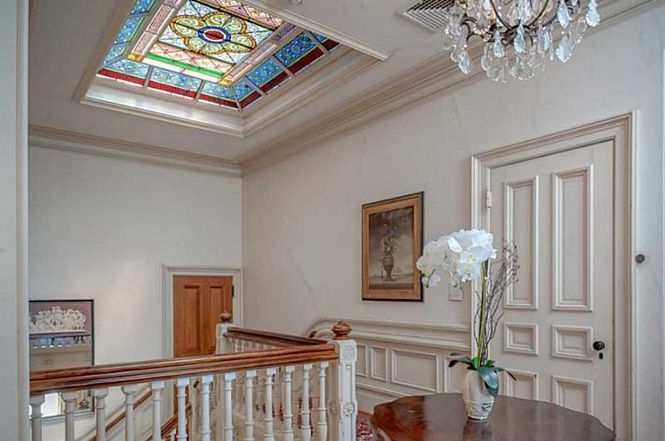 This exquisite stained glass window was an original part of the home, and its unique placement on the ceiling means it floods the space with beautiful light during the day. 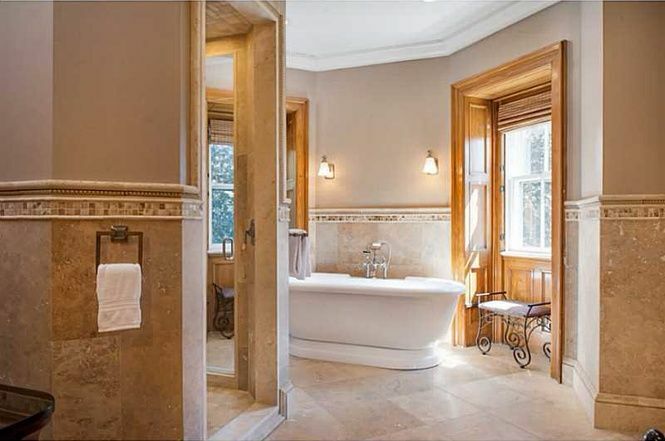 The third floor is also home to this luxurious bathroom, which features a freestanding soaking tub as well as a walk-in shower with a rainfall shower head. Would you like to call this gorgeous mansion home? Let us know in the comments below, and share this article with your friends if you loved it!